A DWC system is the next step for those wishing to expand their growing capabilities with a system that ads timely nutrients to plants. DWC systems do exactly that; They allow a steady supply of nutrients and water to enter your plants ecosystem at a rate and frequency that you can set manually. The results from a DWC system are proven to grow cannabis quicker than that of basic soil grown plants. The increased plant growth is a result of supplying plant nutrients exactly when a plant needs them, especially during the vegetative stage of growth to increase their strength and growth rate dramatically. There are a couple of things to keep in mind before growing with Deep Water Culture Systems but don’t worry. We will walk you through just what a DWC system does and what to look for when buying a DWC system. Plants, and especially cannabis require pure and un-tainted nutrients for plant growth. Contamination is often a concern. It is wise to sterilize your system before growing to reduce plant killing bacteria. Some growers go as far as adding bacteria that is beneficial to plants. Either way you prepare your bucket or reservoir you will also want it to be opaque as to not introduce light into the bucket. This can harm nutrients as a result. Plants are placed into mesh cups also known as baskets, along with rockwool soil or peat moss. The “fill” should use the highest quality moss or soil you can purchase. This is like an ambilocal cord for your plants. You will want it to transport your top-quality nutrients with ease and without contaminates to not spoil your growing potential. The Air pump in your deep water culture system is extremely important to your grow. The air pump pushes oxygen into the plants roots. This ensures the plants get the oxygen they need without suffocating. A constant flow of oxygen is vital. The air pumps continuously run, making noise along the way. Some run quieter than others but typically have a higher cost for this feature. Temperature – This is one of the items you will want to monitor as much as possible. The water supplied through your system should be an optimal 60 to 70 degrees. 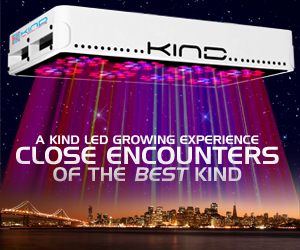 Using LED grow lights helps as they tend to remain cooler. Even if you run a cool grow light in this range, you should always check your water temps using a simple thermometer. PH Balance – Every week at minimum, checking your PH levels that your plants absorb is a wise choice. A good PH for cannabis should fall between 5.5 and 6.5 pH levels. This is where cannabis likes it – slightly acidic. Nutrients – Food for your plants. All the minerals they love should be included in the water supplied to your plants. A once a week addition of new nutrients to your water supply is recommended. You can perform this as you check the water temps and the pH levels of your plants to make it easier. They go by many names but they are all the same thing. Beginners in growing plants indoors and outdoors find them easy to use. Other than once a week maintenance and nutrient checks, they are easy to set up and affordable. A reservoir/bucket to hold your nutrients and water. Mesh cup that holds your plant within it foundation which is typically your peat moss or rockwool soils. An air stone that provides healthy oxygen to your plants roots. For every plant you grow you will need one DWC system for each. The plant itself is suspended above the water in the mesh cup which allows the roots to submerge beneath the nutrient rich water and grow towards the air stone. Multiple plants have been considered by DWC manufacturers and contain multiple buckets yet share the same water supply to make things easier. If you are experimenting with nutrients you may want to purchase multiple separate DWC systems to isolate better nutrient levels between individual plantings. The deeper the water the better. You will want a deep bucket because this allows nutrient levels to stabilize easier. “Deep” water is easier to manage and less changes to your eco-systems. DWC’s are easy to use, especially after the initial set-up. PowerGrow offers a great solution when it comes to DWC systems. This deep water culture comes with total of 4 buckets that are food safe approved by the FDA and are 5 gallons each. These are recommended for larger grows of up to four big plants. Great for strains that tend to have larger yields than other types of cannabis. The buckets include water level marks to help ensure proper amounts of water levels. This DWC also comes backed with a 1-year warranty. The included pump is a bit noisy but overall runs like a champ and the buckets keep light out with their black opaque finish. The Under Current Solo 13 made by Current Culture is the best option for a single plant grow. If you wish to grow a single weed plant, then this is your go to DWC grow system. It is an all-in-one solution that combines everything you would want in a DWC setup combining professional grow features into a smaller DWC. They use professional grower quality parts and to up the stakes, Current Culture includes their patented sub-current technology that provides negative pressure to ensure oxygen levels maintain higher than a standard DWC system of lesser quality. The recirculation of the negative water flow allows your roots to absorb as much high-level oxygen as possible. It also pushes nutrients deep inside the roots resulting in growing your plants to the max. This is one we like to use a lot for our indoor grows. They have also added features to make using this DWC easier. Features include portholes to view roots easier and easy draining to change water faster and with less mess. Finally, the Under Culture 13 comes with a 1-year warranty as well as great customer support that includes helpful instructions and great service should you have any questions. The General Hydroponics Water Farm Grow Kit is a simple to use, square bucket system. This system is perfect for small grow spaces as the square design allows you to design your grow nets to be packed together. The closer they are packed in the better your plants yield. This system includes a 2-gallon reservoir (bucket) and everything else you need from a semi-quiet pump, air stone for oxygenation, tubing and nutrients. Another one-stop-shop for a good price. Everything you need is included.